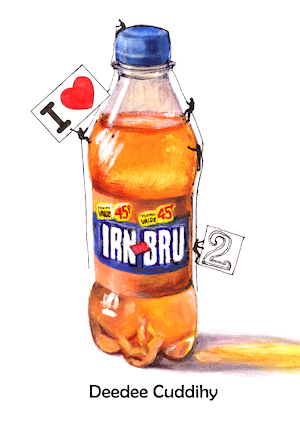 The follow-up to the "phenomenally" successful 'I Love Irn-Bru','I Love Irn Bru 2' contains EVEN MORE hilarious first-hand anecdotes and stories from Irn-Bru devotees (and the occasional naysayer) and is illustrated with original photographs. The perfect Christmas gift for any Irn-Bru Lover! My name's Brian and I like Irn-Bru so much, they should call it Brian-Bru.